Although Chitika has been around since 1993, not many pople were aware of them in the website marketing business, in fact, I myself didn’t realize of there existence until I saw people start bragging about how much money they were making of off them, even over Adsense. So, what’s the big deal? You may ask. Well that’s pretty simple actually, Chitika has invented a revolutionary ad-type called eMiniMaills. These eMiniMalls are banner sized shopping cart displaying items that you choose by keywords, and you get paid for every click on the ads. Chitika introduced eMiniMalls in June of ’05, but people really started to utilize them quite recently, and started to realize the true power that they held over the common consumer. From most, if not all, reports that I’ve seen, most people’s Chitika earnings have surpassed there Adsense earnings by a large amount, and this is no small feat. Now that I’ve made you all aware of how it all works, and true power of eMiniMalls, let’s get into the nitty gritty. You’ll obviously want to start out with a website, or a blog, in fact, any median will do, and is needed. You’ll then want to sign up for an account here. 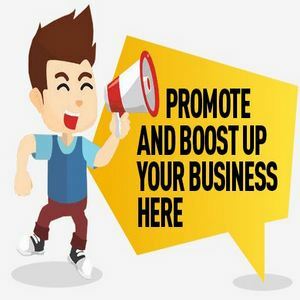 (https://chitika.com) Now that you have an account, you’ll want to create the adds that you’ll be displaying on your site, this is almost like your creating your adsense ads and the same rules apply, we’ll discuss this more a little later. Unlike adsense you can’t save color schemes so you may want to write the colors down so you can use them in the future for any other ads. When deciding colors for your adds, you’ll want to try your best to blend them in to your existing website, color wise. It has been proven that those people that have successfully blended there ads into their site via good colors, have has a higher click-through-rate, and thus higher earnings. Try your hand at this and see how it works out. If you’d like an example of how I did the colors compared to my site, you can visit Super Justin.com. (http://www.superjustin.com). Another important factor to take into consideration is ad placement, I find that the better ad placement, the better click-through-rate. It’s hard to determine which would best suite every site, because every site is different, so you’ll want to test this out as much as you can through trial and error. Some key things to consider is that you’ll want to have your ads in high traffic areas, such as menus as well as site articles. In closing, don’t forget to use chitika’s great referral program after you sign up, and give your friends and relatives, so you can earn money from them as well. Click here to sign up. (https://chitika.com).